This time though the luck was with us. November has been unusually warm this year, though by the middle of the month our first named storm [“Abigail” – apparently they’ve got to be in alphabetical order, and the names were chosen by a public poll] arrived with a vengeance in the north-west. 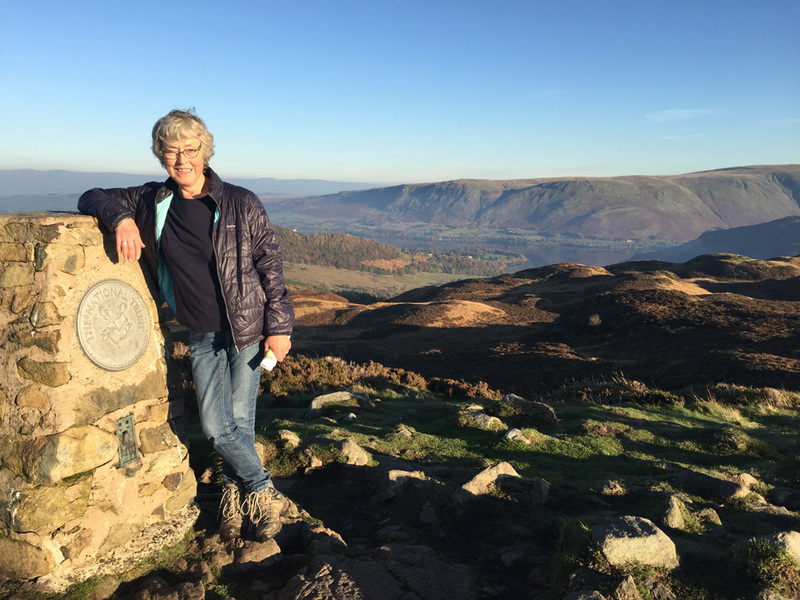 Nonetheless, the Lake District was basking in glorious sunshine for the first weekend in November. Magical. 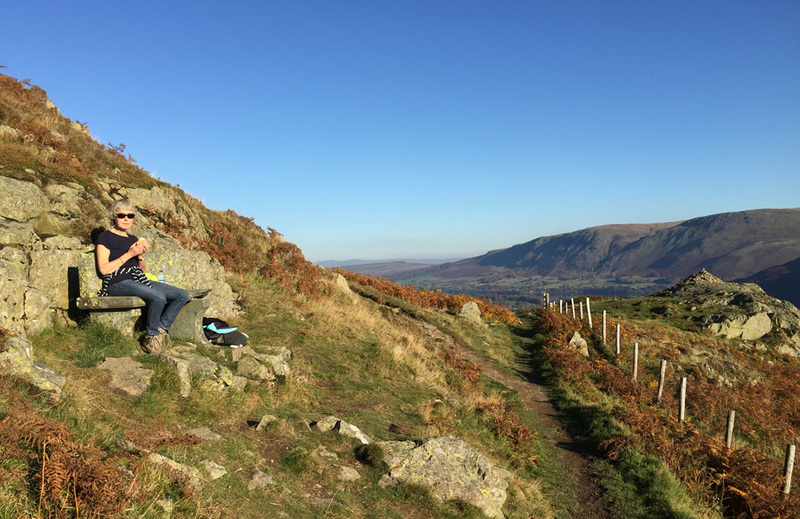 Sitting out on the fells with a picnic in T-shirts two days running with the temperatures more like late spring or early summer. However, we knew there was a catch coming. 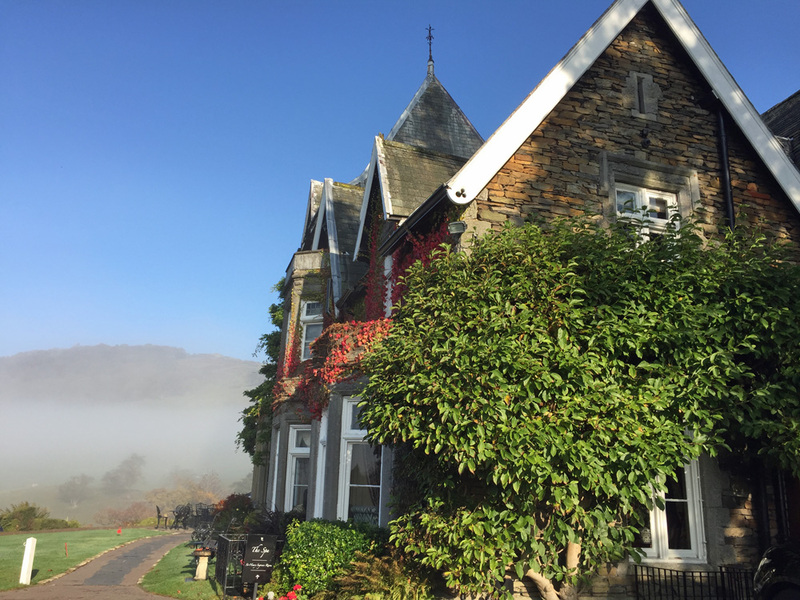 We opted to stay at Holbeck Ghyll – and this is the rare second entry on this blog – long a favourite and now they have new chef, Darren Comish, teased away from the Oak Bank Hotel in Grassmere, celebrated by Jay Rayner. So, great things expected. Well, dinner didn’t disappoint but it’s not all good news. We always like to be positive but we have to be fair – to us as much as anything. The place has always had a slightly faded, shabby chic feeling – a country house that’s reassuring comfortable if a little traditional. 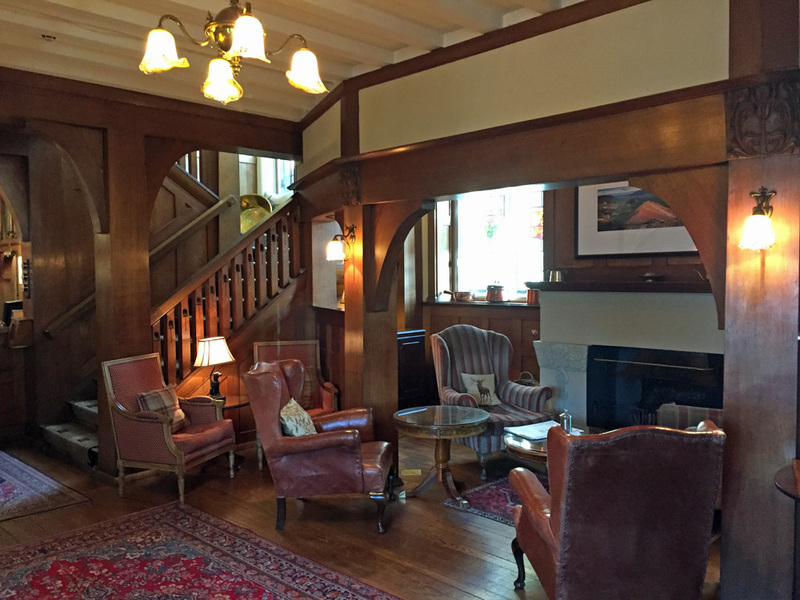 We’ve stayed before in the “outside” rooms – large but a bit impersonal, so more recently we’ve opted for the main house. We were “upgraded” from our basic room but, oh dear, very tired. Holes in the fabric of the chairs; standard packet biscuits on the tea tray. Breakfast very much a disappointment – particularly for a place with a Michelin star. They might get the star for the dinner – though the little “shepherd’s pie” served with the lamb was completely unnecessary – but the quality and attention to detail really should extend throughout the offering. Very weak coffee – and we do mean weak – two mornings running. Cornflake-box cereals and no home-made muesli; fruit compote? – nowhere to be seen. Some very good pots of yoghurt raised the bar a little, but the overall feeling was a 2 or 3* AA seaside hotel. There are lots of places that do much, much better for much less. So, for a place that holds some special memories for us, a disappointment. Today [Black Friday] arrives and email from HG offering “55% off rooms until 30 April”. We think that says it all – it may just be too late to come back from years of underinvestment and bring the place up to scratch. For us? 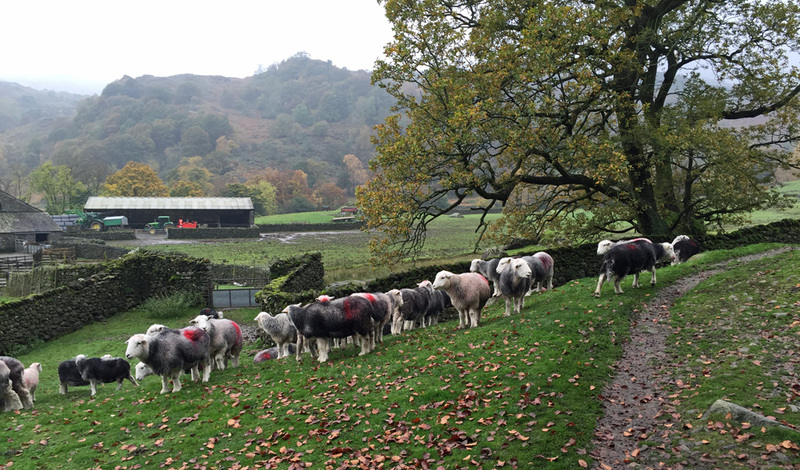 There are other places on our list for the next Lake District escape. 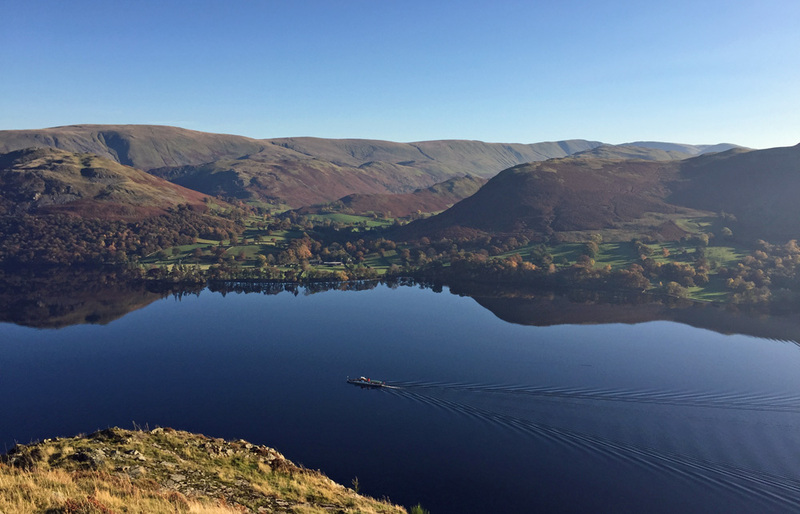 Ullswater steamer – this is November!